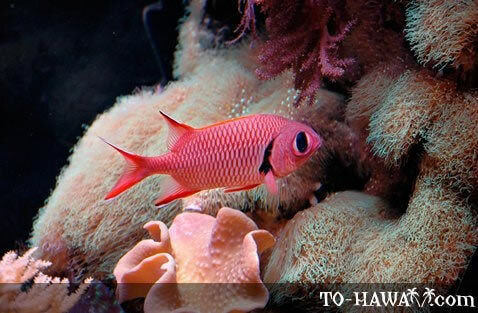 Most squirrelfishes and soldierfishes are red in color. They are nighttime predators with large black eyes and a forked tail fin. Squirrelfishes have one more backward pointing spines on their gill covers. 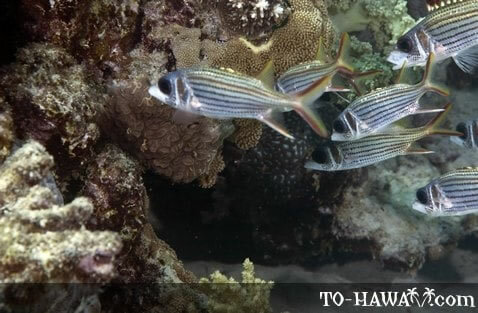 Most of them have horizontal, silver-colored stripes. 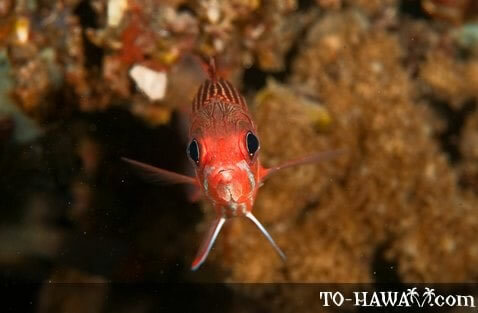 When approached, squirrelfish often times make clicking sounds while nervously swimming around. 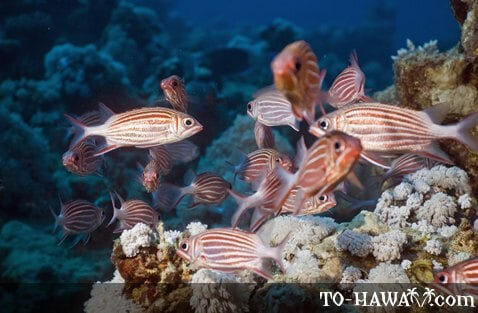 The Hawaiian name for squirrelfish is 'ala'ihi. Soldierfishes don't have stripes. They have more rounded snouts and deeper bodies. Most of them also don’t have backward pointing spines on their gill covers. They also make grunting sounds when they are disturbed and nervous. 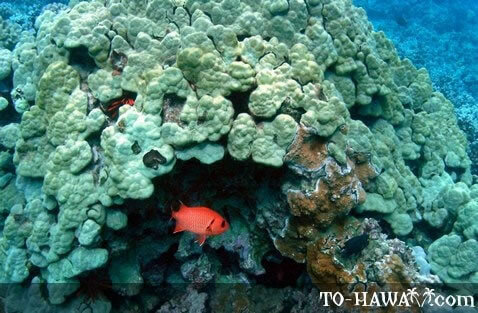 Their Hawaiian name is 'u'u. 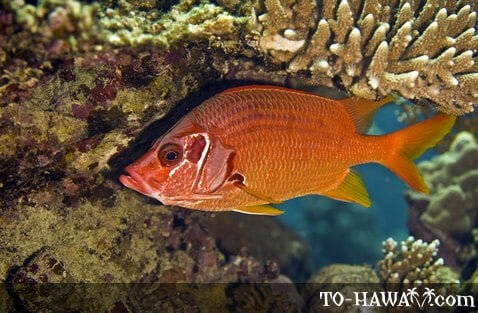 About 19 holocentridae species inhabit Hawaiian waters, some of which are can be found only in deeper waters. 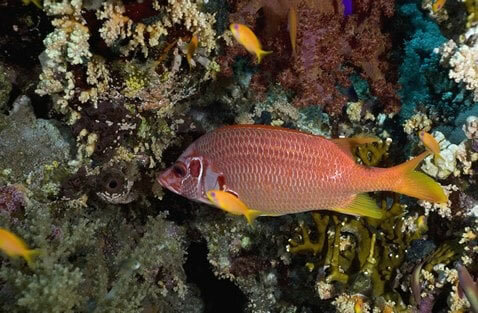 The name holocentridae means “all spiny,” which describes these fishes well.